Red Nomad’s Memory Foam Mattress topper is made completely out of memory foam that has been certified by CertiPUR-US, which means it is free from any toxins. This mattress topper has a cool cycle polymer design that is meant to regulate airflow and keep you cool while you are sleeping. This can be especially useful if placed on top of a heat restricting mattress protector. This will also add a nice layer of comfort to your bed, and all reviews rate it highly. 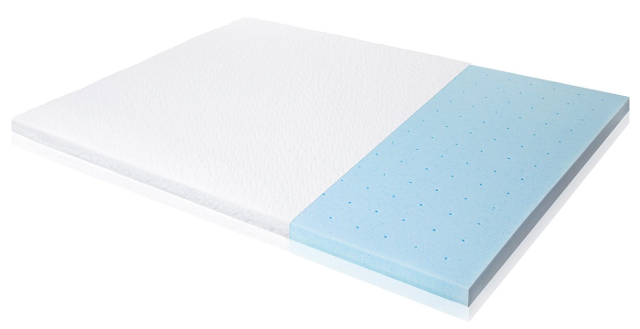 This mattress topper is lacking in special features however, as it does not have hypoallergenic properties, and while it absorbs liquid, big spills can seep through. However, retailing at $83.99 with a 5-year warranty makes the Red Nomad 2-Inch Ultra Premium Memory Foam Mattress Topper a good value for a premium memory foam mattress topper. Isolus offers a 2.5-inch Ventilated Gel Memory Foam Mattress Topper that is made from gel infused memory foam which is contained within a rayon/bamboo cover that protects the center. This topper is exceptionally soft and will be comfortable for both side and back sleepers, providing a nice amount of support while providing a nice cushion. It will also provide a great amount of heat relief, as the gel construction is ventilated, allowing for great airflow. The topper is also hypoallergenic, so it will be great for keeping allergens out of your mattress. On the downside, this mattress topper is fairly heavy at almost 25 pounds, comes out of the box with a slight odor, and comes with a hefty price tag of $224.99, though it does come with a 3-year warranty. That being said, the Isolus 2.5-inch Ventilated Gel Memory Foam Mattress is extremely comfortable and durable, and will provide a great experience for consumers who are not worried about the price tag. Here’s a link to online retail. Pure Green’s 2-inch Natural Latex Mattress Topper is made out of natural latex foam, and is one of the best latex mattress toppers on the market. The mattress topper comes complete with hypoallergenic properties that will protect sufferers from respiratory problems like asthma and bronchitis from having particulates in their mattress. It comes in all different sizes as well as three different levels of cushion—soft, medium and firm—so you can be sure that you will find one that fits your sleeping needs. In addition, this topper allows air to flow freely and will keep you cool throughout the night. The main drawback is the price, as it retails at $199, though it comes with a 5-year warranty. For consumers looking for a natural, hypoallergenic mattress topper, who are not worried about the price point, check out Pure Green’s 2-inch Natural Latex Mattress Topper. DreamFoam Bedding’s 2-inch Gel Swirl Memory Foam Topper is made of visco-elastic memory foam that has a gel swirl that is meant to add a layer of comfort to your mattress and make it feel like new. Its foam is CertiPUR-US certified, meaning that none of its materials are toxic or harmful. This is a very comfortable mattress topper that feels plush the moment you lay down, but provides enough support for both side and back sleepers. This topper is not hypoallergenic however, so it does not provide relief for people suffering from eczema, asthma, or allergies. However, it does come at a very affordable price of $65.00, and comes with a 3-year warranty, making it a great value for high-quality materials. For consumers looking for a mattress topper that is very comfortable and affordable, look no further than DreamFoam Bedding’s 2-inch Gel Swirl Memory Foam Topper. LinenSpa’s 2-inch Gel Infused Memory Foam Mattress Topper is one of the best deals on the market. The memory foam material is infused with gel to allow for heat regulation, keeping you cool during warm summer nights. This is a very comfortable memory foam that will give you a plush cushion that distributes weight nicely, relieving pressure points for both side and back sleepers. The one downside is that some reviewers found it to lack durability, and it does not come with hypoallergenic qualities. However, this mattress topper costs only $39.99 and comes with a 3-year warranty, so you should be able to send it back to the manufacturer if you find that it is deteriorating. For customers looking to add a nice layer of comfort to their bed at a great price, LinenSpa’s 2-inch Gel Infused Memory Foam Mattress Topper will get you the best bang for your buck out of any product on the market. Advanced Sleep Solutions’ 2-inch Memory Foam Mattress Topper is made of gel-infused memory foam that keeps you cool and comfortable while you sleep. 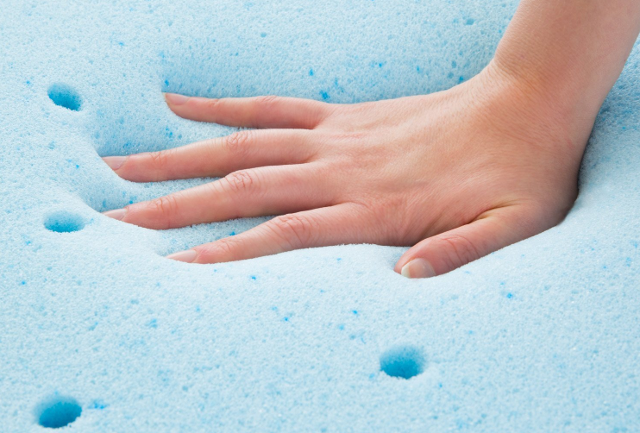 The memory foam is CertiPUR-US certified to be completely free of any toxins. This is a very comfortable mattress topper that has a plush feel to it the moment you lie down. On the downside, this mattress topper does not come with hypoallergenic properties, and some consumers found it to wear down after a few months of usage. However, this mattress topper comes with a 60-day money back guarantee and a 3-year warranty, so you should be able to send it back if it does not live up to expectations. It is also a very good value at $75.95. 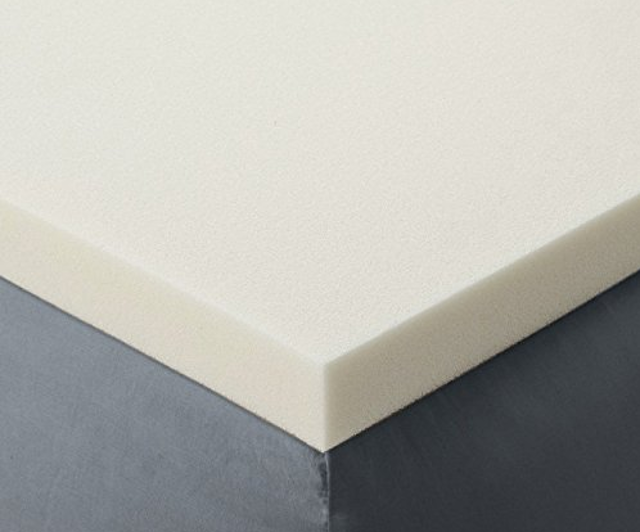 For people who are looking for a good value on a nice memory foam pad, they should have a look at Advanced Sleep Solutions’ Memory Foam Mattress Topper. Serta’s Ultimate 4-inch Visco Memory Foam Mattress Topper is a high-end topper made out of viscoelastic memory foam that is CertiPUR-US certified, meaning it is free from toxins. The topper is also hypoallergenic, so it will help your mattress stay clean from airborne toxins and irritants that can cause problems for people with respiratory issues like asthma or bronchitis. This is an extremely comfortable topper that uses its 4-inch thickness to create a flotation effect that will relieve pressure points and have you dreaming that you are on cloud nine. On the downside, some reviewers found that the mattress can smell strongly when it is first opened, though that should dissipate as the mattress airs out. Also, it does not come with a cover around the foam. Since it is a high-end topper it is also very pricey, with a $204.99 price tag, and it only comes with a 30-day warranty. For consumers who are willing to go the extra mile for comfort, check out Serta’s Ultimate 4-inch Visco Memory Foam Mattress Topper. Lucid’s 2-inch Gel Infused Ventilated Memory Foam Mattress Topper is made of memory foam that has been aerated with ventilation holes, and is infused with gel to ensure excellent airflow and ventilation that will keep you cool while you sleep during warm summer months. 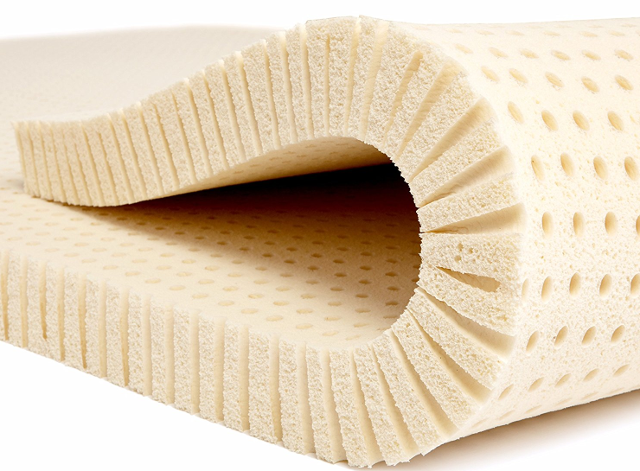 The material is certified by CertiPUR-US, so it does not have any toxic additives in the foam. Despite its 2-inch thickness, it is very comfortable and provides great joint support for people who have inflammation or tense pressure points. The foam does have a strange smell, though that should dissipate after a few days. This mattress topper comes at a very good price of $51.98, and comes with a 3-year warranty and a 30-day money back guarantee. For consumers looking for a great value on a comfortable mattress topper, they should check out Lucid’s 2-inch Gel Infused Ventilated Memory Foam Mattress Topper. 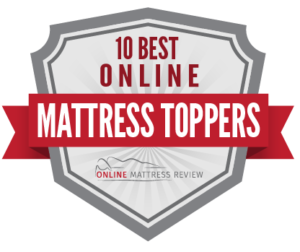 Sleep Innovations’ 4-inch Dual Layer Mattress Topper is a high-end mattress topper that is made from 75% Polyurethane foam pad and 25% polyester fiberfill. This product comes with a fiberfill cover that feels like a large down pillow, and fits over the memory foam, giving it a unique dual layer system that provides maximum comfort. The top layer has cooling properties that keep you cool for a good night’s sleep. This is probably the most comfortable mattress topper on the market for consumers who like a very plush and soft surface which relieves pressure points throughout the night, though for people who need a fairly firm surface to sleep on, they should probably look elsewhere. On the downside, this is a pricey mattress topper at $175.99, and it does not contain hypoallergenic qualities, though it does come with a 10-year warranty. For pure comfort, Sleep Innovations’ 4-inch Dual Layer Mattress Topper is the best that money can buy. eLuxury’s Bamboo Mattress Pad is made out of a plush rayon/bamboo cover filled with RevoLoft Cluster Fiber, making it a combination of cotton, polyester, and nylon. The RevoLoft fiber is hypoallergenic, giving users relief from airborne irritants. While its name technically says it’s a mattress pad, it is quite substantial and should actually be labeled a mattress topper. The bamboo fabric feels plush and silky and is great at temperature regulation, as it will keep you cool in the summer and warm in the winter. It has also been tested and certified safe according to the Consumer Product Safety Commission. The mattress topper comes with a removable pillow top that provides a layer of distance between sleeper and foam, and it is made so that it will not shift or move around if you are a restless sleeper. 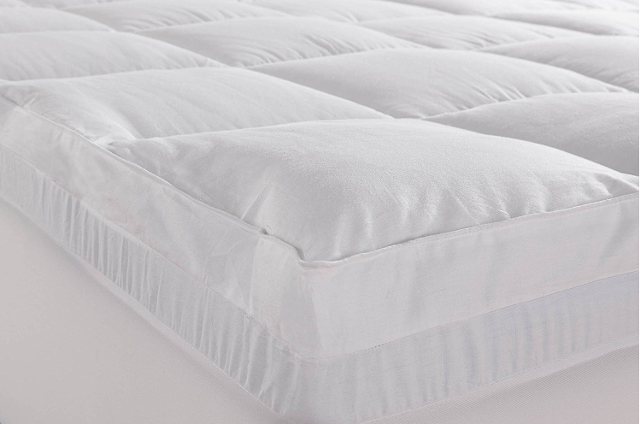 Users found that this mattress topper is very durable, and maintained its shape without getting matted down from use. For a high-end mattress topper that comes with all of the bells and whistles, this is a great value as the price tag is $99, and it comes with a one-year warranty. eLuxury’s Bamboo Mattress Pad comes in the top spot on our list because it provides all of the desired features of a mattress topper and comes at a good price. Here is the link to online retail.